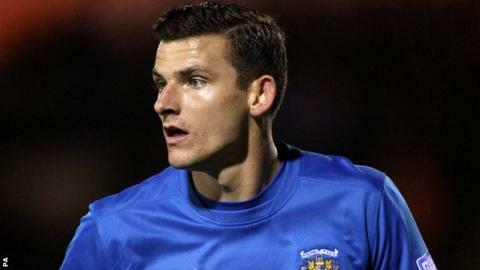 Wrexham manager Gary Mills has made his first signing by bringing in former Lincoln City left-back Sean Newton. Newton, 26, was not offered a new deal by Lincoln having finished the season on loan at Notts County. Liverpool-born Newton began his career with Chester and has also played for Southport, Droylsden, Barrow, AFC Telford and Stockport County. He joined the Lincoln on a two-year deal in the summer of 2013. Newton's arrival at Wrexham comes after left-back Neil Ashton revealed on social media he had not been offered a new contract by the Dragons. "Once I heard that Wrexham and the gaffer were interested in me, then there was only one club for me," said Newton. "There were offers from other clubs, and others at a higher level, but this place ticked all the boxes. "I've played against Wrexham plenty of times and always thought this was a place I would love to play. "